The Dorset Funeral Plan has announced it is to continue sponsoring the county’s cricket league in 2014 – for the eighth year in a row. The plan, run by Douch Family Funeral Directors, has become synonymous with the eight Saturday leagues played in by nearly 50 clubs across Dorset, many of which have more than one side. Each month through the season there is a ‘team of the month’ award, the winners of which win a trophy, individual medals and a bottle of bubbly. And the deal will also provide end-of-season awards that will include a groundsperson award, individual achievement award and a team achievement award. There is also the Jack Douch Award for cricket in the community, which was presented after last year’s season for the first time. Jack was well known in cricket circles around Dorset and was the grandfather of Nick Douch, the managing director of Douch Family Funeral Directors. 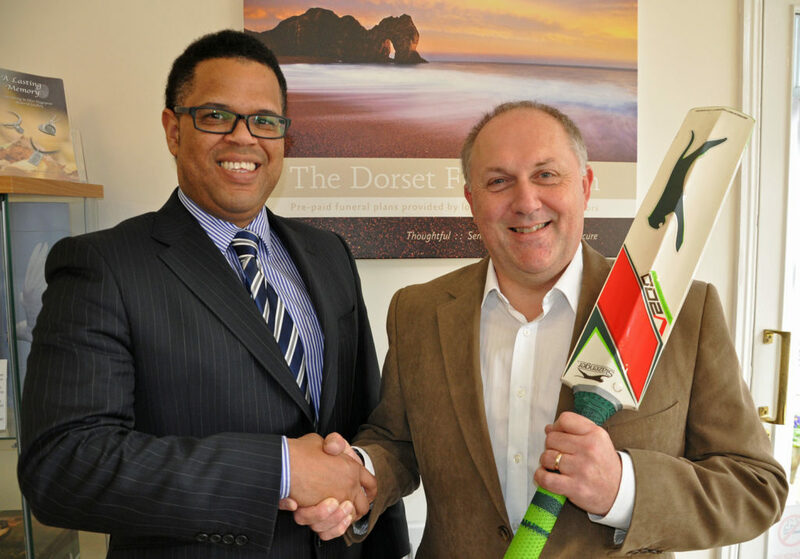 The Dorset Funeral Plan Cricket League chairman John Ridout said he is delighted to continue with the sponsorship. He said: “The league covers the whole of the county and is known by everyone as the Dorset Funeral Plan League. “This year we have two Premier leagues with play-off games and this is aimed at getting the better players to compete against each other more often. Nick Douch said: “The Dorset Funeral Plan has been the league sponsor for a number of years and our profile has certainly been raised because of it. “It is operated by our seven branches in Dorset and we are very much committed to local cricket.